Gloxinias in the Garden – Say What! 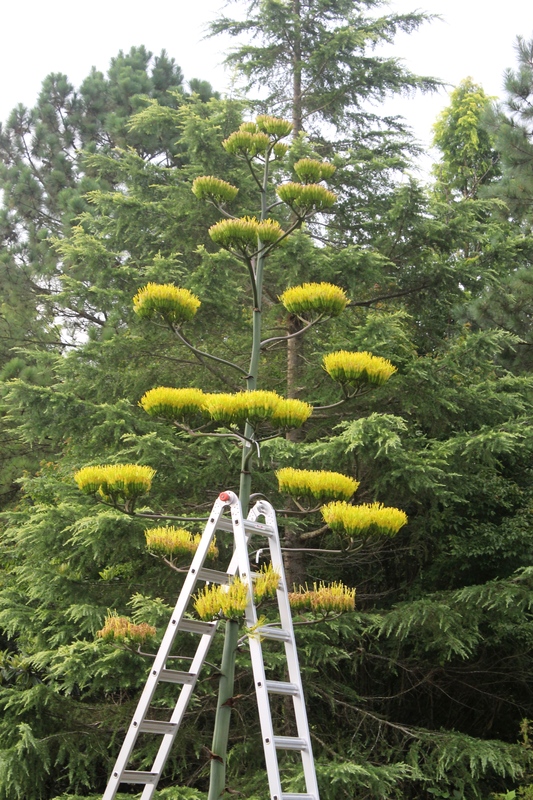 The amazing Manettia cordifolia has been in full flower for several weeks, and will continue for quite a while. As you can imagine, this is hummingbird central. Anita and I spent a good bit of time the other evening snapping photos of this amazing vine. 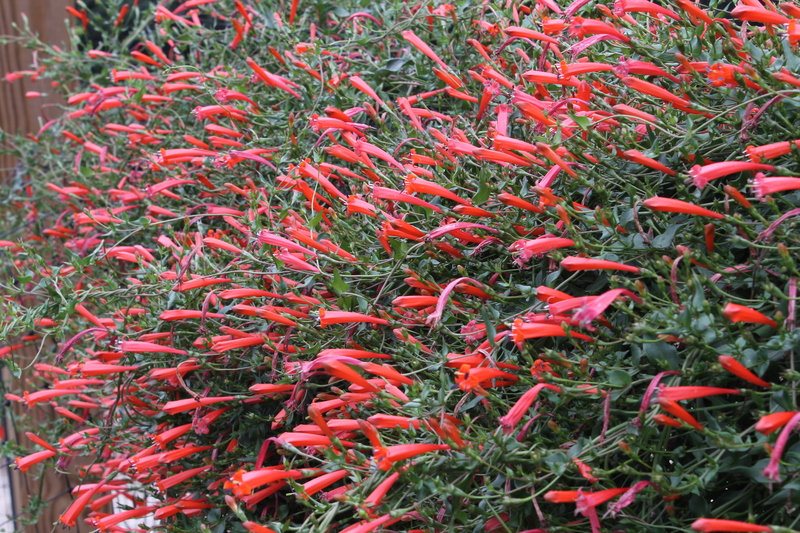 Our native cardinal flower, Lobelia cardinalis is simply on fire in the garden now, with spikes reaching 5-6′ tall. As you can imagine, the hummingbirds are enjoying the tasty treat. 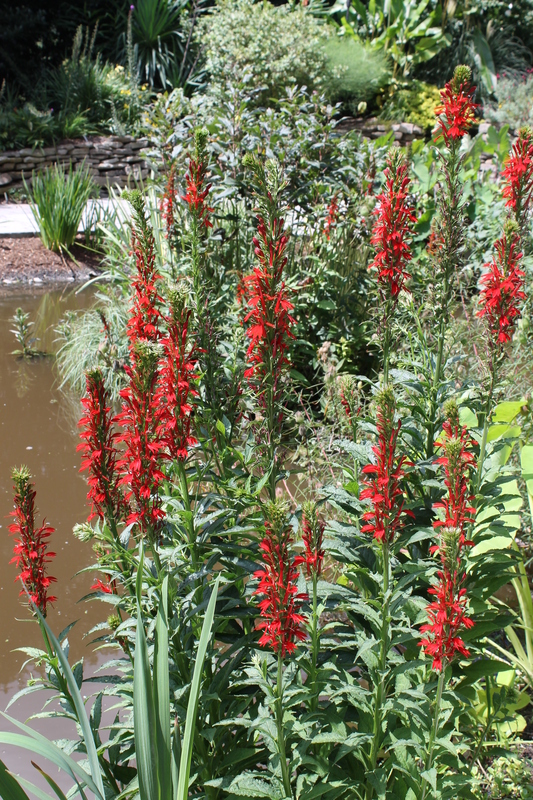 Moist to wet, organically rich soils grow the tallest plants, although cardinal flower also grows in typical garden soils but just doesn’t get as tall. I can’t imagine a summer garden without this beauty.